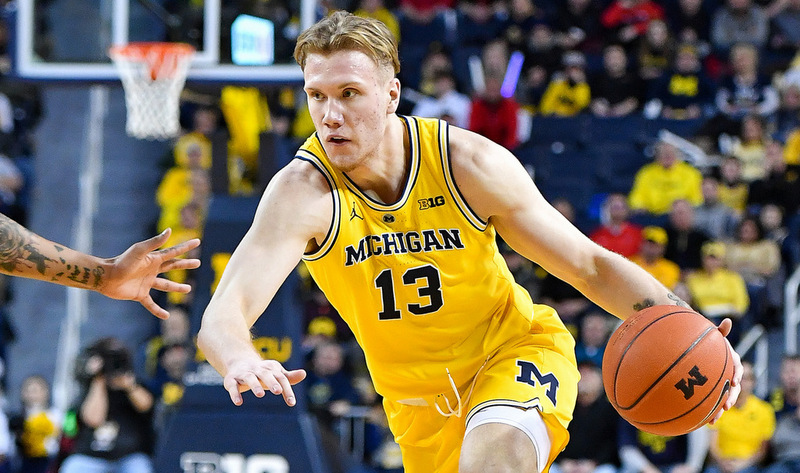 (ANN ARBOR) – Michigan freshman Ignas Brazdeikis will hire an agent and enter the 2019 NBA draft. He made that than announcement on Tuesday. Brazdeikis was named Big Ten Freshman of the Year after averaging 14.8 points and 5.4 rebounds in 30 minutes per game while shooting 39 percent from 3-point range for Michigan, who lost in the Sweet 16 of the NCAA tournament to Texas Tech. The 20 year old Canadian, who will be represented by YouFirst Sports, is attempting to become the first one-and-done freshman in the John Beilein era. Brazdeikis emerged on NBA radar screens early in the season as the leading scorer of a Michigan squad that significantly exceeded preseason expectations and rocketed toward the top of the national polls, thanks to an incredibly stout defense. His aggressive mentality, advanced scoring instincts and overall toughness are attractive projecting forward, although he still has his work cut out to solidify his draft stock heading into the predraft process, which would likely include a strong showing at the NBA combine. Wolverines shooting guard Jordan Poole and small forward Charles Matthews are also declaring for the draft. While all three players intend to hire agents for the draft evaluation process, new NCAA rules allow them the option to return to school without losing their eligibility.